Ashley personalized letterpress correspondence card stationery set can be used for everyday notes to family, friends or colleagues. You will receive a personalized and custom design to meet your needs, style and budget. Tiny Dog Press believes a handwritten note on a beautiful card creates an impression greater than an email. 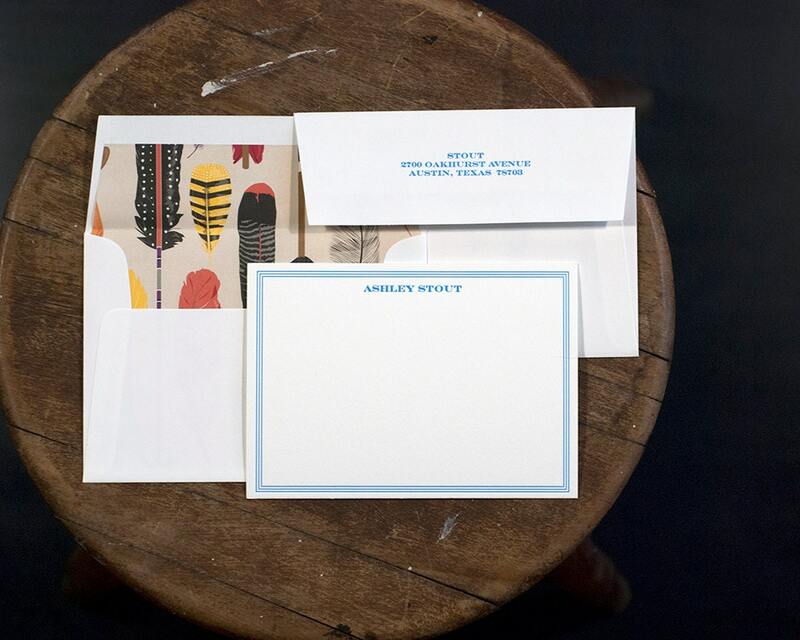 All design aspects of this correspondence card can be altered to meet your specific vision. 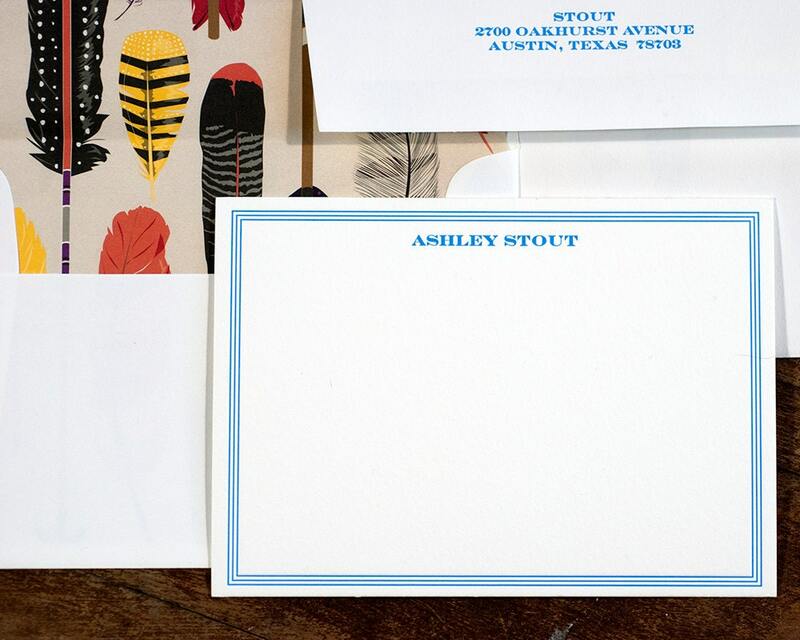 Stationery can be printed either using letterpress or digital printing methods on soft cotton paper. This A6 sized standard size (4-1/2” x 6-1/4”) correspondence cards will be printed on Cranes Lettra 110# cotton cover paper using our 1949 Chandler & Price platen press. The pricing below is for single side, hand-mixed ink printing. Select the quantity you would like to order and place the item in your shopping cart. Our flat or digital printing orders is outsourced to a local Baltimore printing company that gives the same attention to detail as we do with our letterpress printing. 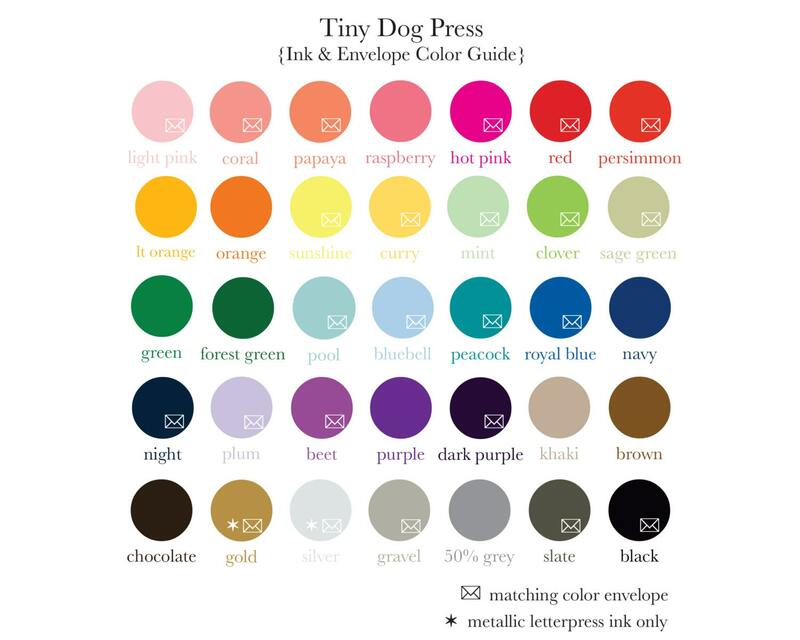 Tiny Dog Press letterpress products are printed on a C&P platen letterpress or a Vandercock letterpress; printing one announcement at a time on 100% cotton paper. Ink is hand mixed for each order. All stationery orders are hand assembled and packaged in an archival stationery box. Each card will be slightly unique due to the hand made and letterpress process. Flat or digital printing is outsourced to a local Baltimore printing company that gives the same attention to detail as we do with our letterpress printing.